Borough Market claims to have existed since 1014, with some saying it is older even than that. The first mention of the market, however, is in 1276. 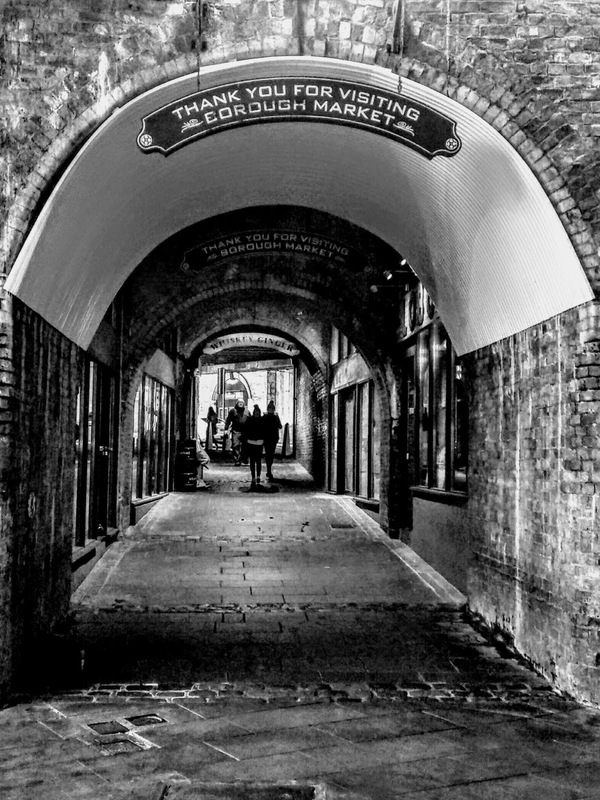 The original market was situated at he southern end of London Bridge, where it was perfectly placed close to the wharves of the Pool of London. In 1756 a new market was set up, on nearby Rochester Yard, covering an area of 4.5 acres. Its present buildings were erected in 1851, although various additions have been added throughout the years, More buildings were added in 1860 and an entrance, on Southwark Street, was also added, in 1932. A major refurbishment began in 2001, which included, in 2004, the resiting of the South Portico of the Floral Hall, from Covent Garden, which had been removed when the Royal Opera House was refurbished. The portico was Grade II listed in 2008.